Adorable boy invites the Queen to his birthday party – and gets a reply! He was so impressed by the Queen after learning about her at school. 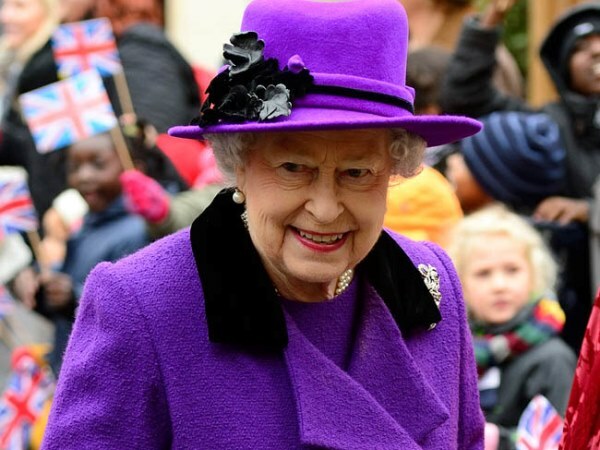 A four-year-old boy was so impressed by the Queen after learning about her at school, he bestowed upon her the honour of attending his upcoming fifth birthday. Adorable Shaan Dulay, from Sandwell in England, penned a letter to Her Majesty in which he talks about everything from horses to biscuits and ‘the poor children’. But, most importantly, extends the generous invitation of cake and tea at his home for his half-a-decade birthday. “They were learning about the Monarch and how she was the longest reigning Monarch. He retains a lot of things,” mom Baljinder (39) told Birmingham Mail. “The next day he was asking if we could go and meet her. I showed him the Palace on the internet and told him that we can’t just go there and millions of people want to meet her. “Dear HRH Queen Elizabeth, I think you are the best Queen in the world. I really like your crown and the red cloak you wear; it’s like a superhero. I love horses just like you. I wish I could come and see your horses. That would be so amazing. When I grow up I am going to be a pilot. I would like to fly your planes. Mummy said be kind and help others. When I am big I am going to help the poor children like mummy does. Can you make everyone help the children as you are the Queen and everyone must listen to you? Can you please come to my house for my birthday? It is on June 25. I need to talk to you about horses, planes and the poor children. I can even make horse shaped biscuits for us to share. Pretty please. Love Shaan Dulay. Age 4." The letter was sent off on 13 March and after weeks without a response, Shaan had begun to lose hope. However, on 3 May Queen Elizabeth II finally replied and Baljinder, a probation officer, was anxiously excited to share the news with her son. ‘”My heart was going when the letter came through the letterbox with the Royal seal on it – I was starting to worry she might actually come. “I thought I had done my bit as a mother helping him write the letter. I wasn’t quite prepared for if the Queen came round. The mother, who lives with her husband Onhar (39) and the couple’s other one-year-old son Roshan, read the letter to Shaan. Sadly, Her Royal Highness was unable to attend Shaan’s birthday party but did take the time to wish him a very happy birthday! “The Queen wishes me to write and thank you for your letter and for your message of support for Her Majesty at this time,” the letter, written by the Queen’s Lady in Waiting, reads. “Although unable to accept your invitation to come to your house for tea because of her very busy schedule, the Queen greatly appreciated your kind thought for her and Her Majesty was pleased to learn that you too like horses." A birthday wish from the royal family matriarch follows. “He was so amazed – although he couldn’t hide being a bit disappointed that she wasn’t coming," Baljinder explained. The family now plan on taking a trip to Buckingham Palace in August.